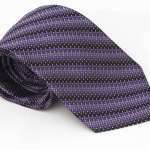 Ocean blue is mixed with ecru and khaki in this woven design tie. 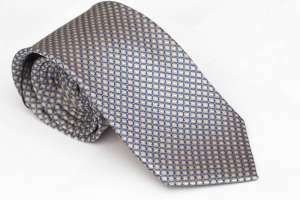 The simple honeycomb pattern is a perfect foil for mixing navy and tan, or wearing with any color lightweight suit. 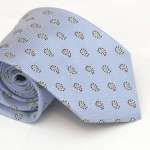 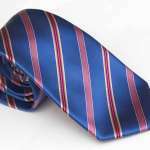 An ecru tie with blue blends nicely with light blue, tan and brown.